The most popular route is Ancona to Split. The average price this month for this route is £83 for a car and two people each way. Booking a ferry to or in Croatia is simple, easy and safe with AFerry, just use the booking form above to get a price. Booking a ferry to or from Croatia couldn't be easier with AFerry. You can either use the booking form at the top left of the page. Croatia has one of the most diverse landscape and culture in Europe. 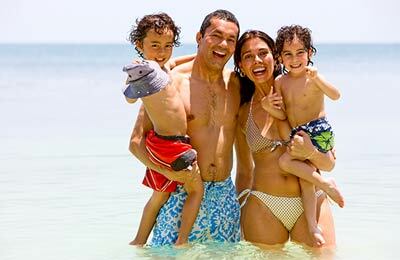 You can explore the stunning Adriatic coastline or discover the UNESCO world heritage site of Dubrovnik or just chill out on the beaches with water sports or just soak up the sun. Croatia is also home for amazing wildlife such as wild wolves, bears and different species of birds. There are an almost limitless number of things to see in Croatia and the best way to do that is by cycling or hiking along the Dalmatian coast. If that's not your thing, then there are pristine beaches to relax on, breathtaking villages to explore and scenery that will make you understand why Croatia is considered one of the most beautiful parts of Europe. Croatia is becoming an increasingly popular tourist destination and is famous for its crystal clear waters. However, the country is still out of the way enough to remained unswamped and unspoilt by mass tourism. From the capital city Zagreb to its stunning coastal towns in Dalmatia, Croatia is one of the most diverse yet beautiful countries in Europe. There are thousands of different things to discover up and down the country from the UNESCO World Heritage Site of Dubrovnik to the almost unknown but highly satisfying Croatian cuisine. Sport, especially water sport, is a very important thing in this country and sailing is a very common pastime but football, handball and tennis are also very popular in Croatia so watching a sports match can also be very fun. If you fancy staying in a hot, Mediterranean climate then the towns and resorts along the Adriatic coast are the places to go. 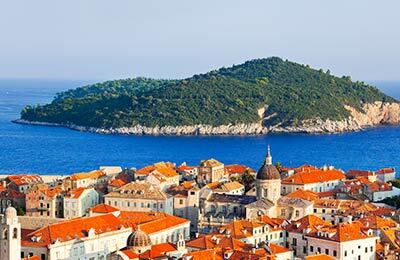 If you're staying in northern Croatia, there is a temperature climate not dissimilar to the UK or France. In mountainous or semi-mountainous regions of Croatia, the climate is generally quite mild in summer but cold and snowy in the winter. 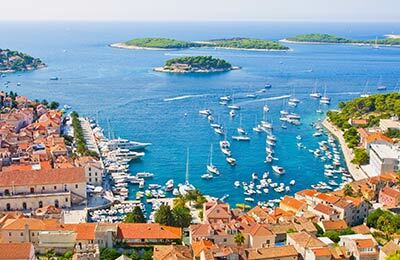 There are nine main ferry ports in Croatia and with AFerry you are able to go to all of them. 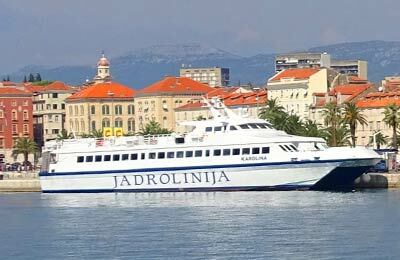 If you're `country-hopping' it is possible to take ferries in between ports in Croatia and Italy. For example, most major lines schedule ferries from Split to Ancona. Due to its increasing diversity, there are an almost limitless number of things to see in Croatia and the best way to do that is by cycling or hiking along the Dalmatian coast. If that's not your thing, then there are pristine beaches to relax on, breathtaking villages to explore through and scenery that will make you understand why Croatia is considered to many as one of the most beautiful parts of Europe. Plitvice Lakes National Park is an incredible place where sixteen shimmering, blue lakes are connected by waterfalls and cascades that are home to an incredible array of wildlife; deer, bears, wolves, foxes, badgers and butterflies but it's the 120 bird species that really make this wildlife park so amazing that include hawks, owls, kingfishers, herons, black storks, ospreys and many, many more. Croatia is full of history and if you like discovering the history of different cities and regions then the ruins of Solin is the place to go with its stunning sights and mesmerising history. Solin, formerly Salona, was the capital of the Roman province of Dalmatia until AD 614 when it was destroyed. In Zagreb, the buzzing capital city of Croatia, there is good shopping and restaurants of every ethnicity but what really makes Zagreb so original from other European cities is what there is to see in the city. There are beautiful palaces, intriguing art galleries, mesmerising museums, Medvedgrad; a medieval fortress on Mt. Medvednica or even a zoo!